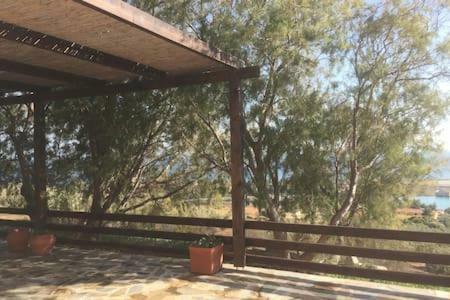 Beautiful sunny house with amazing view in Pythagóreio is a holiday home with 1 room. Beautiful sunny house with amazing view is situated in Pythagoreio, 600 metres from Panagia Spiliani, 1.7 km from Folklore Museum of the Nikolaos Dimi...triou Foundation of Samos, as well as 2.1 km from Church of Virgin Mary of Spilianis. The holiday home is 3.1 km from Natural History Museum of the Aegean. Agia Triada Monastery is 6 km from Beautiful sunny house with amazing view. The nearest airport is Samos International Airport, 5 km from the accommodation. When would you like to stay at Beautiful sunny house with amazing view?